Balloons. Cheap, versatile, festive, space-filler. Ergo, the perfect party decoration. 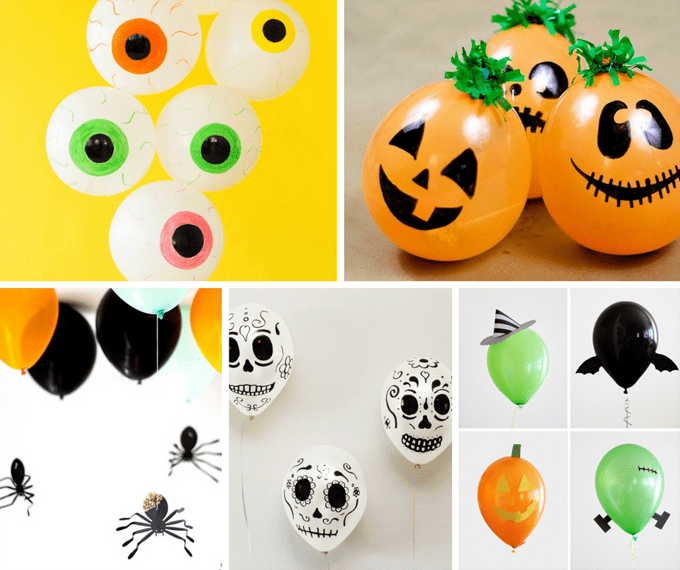 So if you’re throwing a Halloween party, here are 20 Halloween balloon ideas for you. 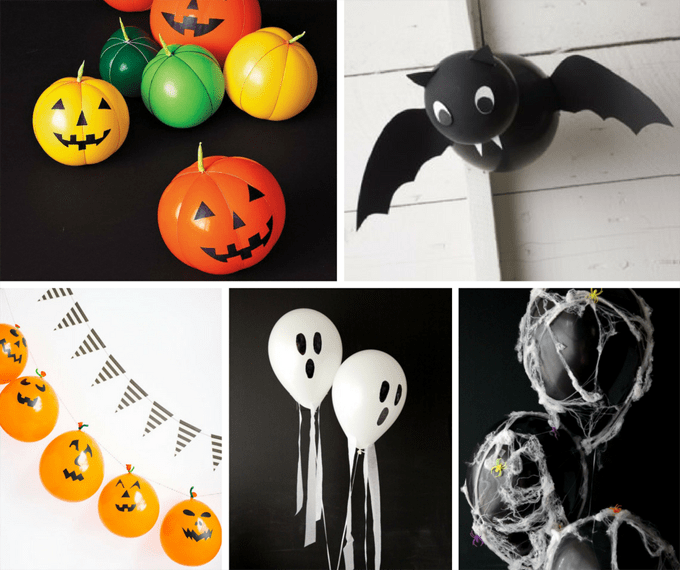 Make Halloween pumpkin balloons at The Celebration Shoppe. Make bat balloons at Red Ted Art. Make Jack O’ Lantern garland at Design Improvised. 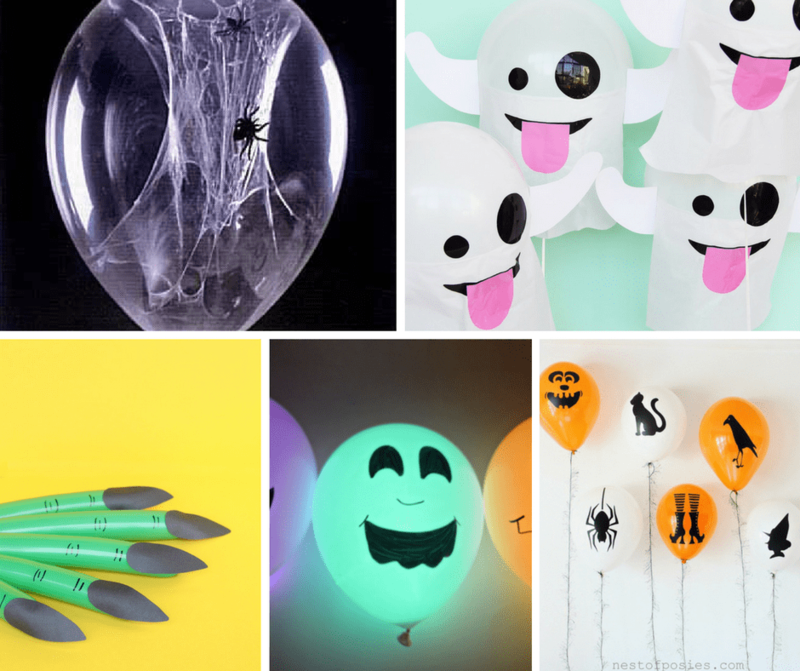 Or make some ghost balloons at Design Improvised. Or make spider web balloons at Design Improvised. Make eyeball balloons at Studio DIY. Make treat-filled pumpkins at Hostess with the Mostess. Or make hanging spider balloons at Studio DIY. Make Day of the Dead balloons at Growing up Bilingual. 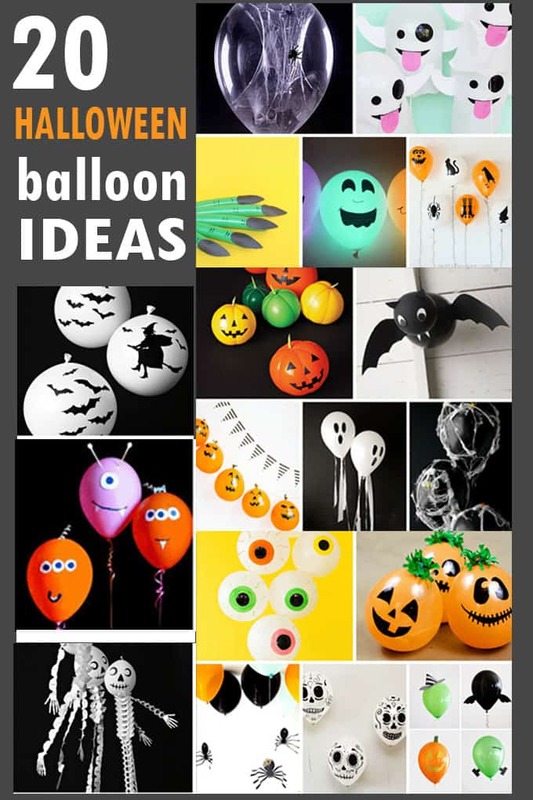 Make Halloween design balloons at Small Fry. Make spider-filled balloons at Makezine. Love these ghost emoji balloons at Aww, Sam. Or make witch finger balloons at Aww, Sam. Make glow stick balloons at She Knows. 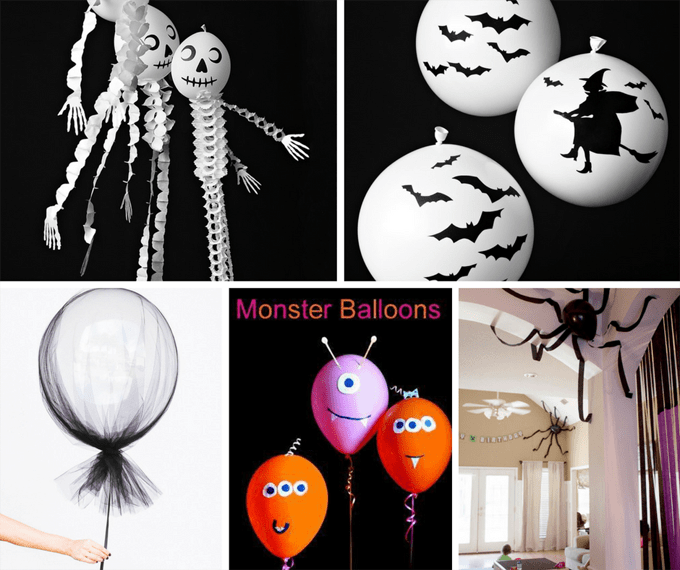 Make Halloween silhouette balloons at Nest of Posies. 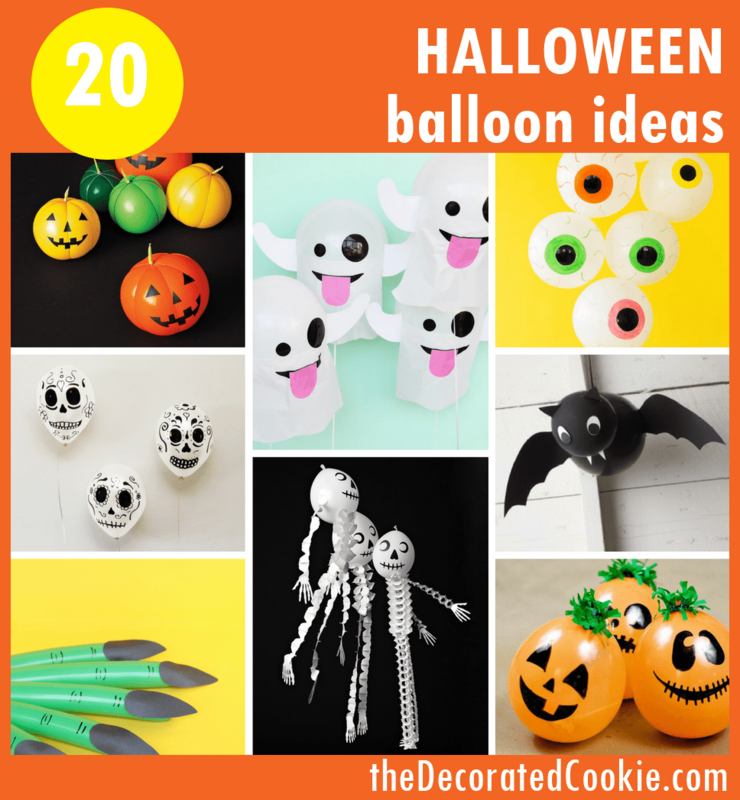 Make skeleton balloons at Martha Stewart. Or make decoupage balloons at Martha Stewart. Make tulle covered balloons at Poppytalk. Put spider balloons on the ceiling at Southern Revivals.